A portfolio of fine art photographic prints of George Washington's Headquarters has been acquired by Morristown and Morris Township Library for their North Jersey History and Genealogy Center. MORRISTOWN, N.J. - Sept. 15, 2018 - PRLog -- A portfolio of fine art photographic prints of George Washington's Headquarters has been acquired by Morristown and Morris Township Library for their North Jersey History and Genealogy Center. The photographs were selected from a collection that is on exhibit now until December 28, 2018 at the Morristown National Historical Park museum. The National Park Service commissioned New York artist Xiomaro to create the collection. The photographs artistically document the 12-room Georgian Revival Ford Mansion, which served as Washington's headquarters during the winter of 1779 to 1780. During their encampment, Washington, his wife Martha, Alexander Hamilton, and other dignitaries braved more than 20 snowstorms described by a soldier as "cold enough to cut a man in two." The photographs of the interiors are unique because "the domestic aspects are easily lost in the presence of Washington, but Xio has managed to capture the mansion's essence as a home," explains curator Jude M. Pfister, the Chief of Cultural Resources at Morristown National Historical Park. The photographs were commissioned by the park for publication in an accessibility book to enable physically challenged visitors to "experience" Washington's headquarters as done on a visitor tour. The 15 photographic prints acquired by Morristown and Morris Township Library will be available to the public in its North Jersey History and Genealogy Center, a department within the library. 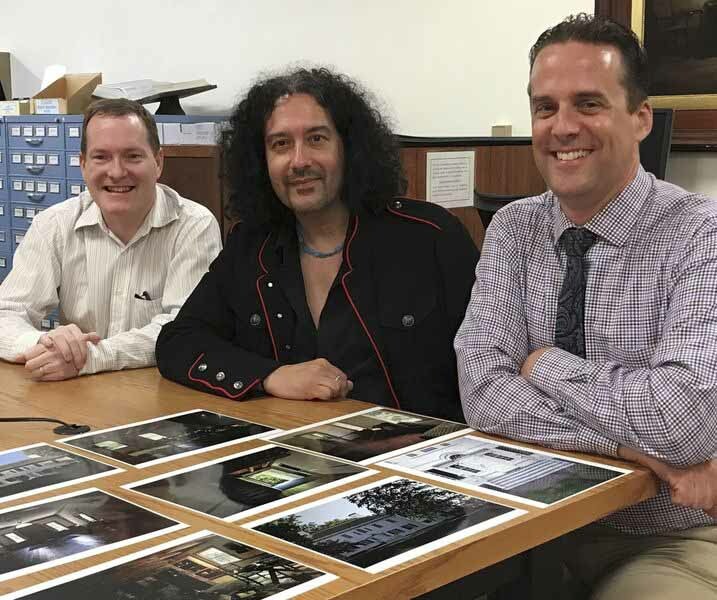 "We're very happy to add Xio's photographs of Washington's headquarters and look forward to sharing them with everyone," said James Lewis who heads the Center. "The photos of Washington's headquarters would help a local historian or a genealogist to give them an idea of what a house in the area would look like, although Ford's house was one of the bigger ones in town. It would provide them with some context of what it would have been like to live in colonial Morris County and in the early Federal period." Xiomaro (pronounced "SEE-oh-MAH-ro") is an internationally-recognized artist and speaker whose photography has been covered by CBS Eyewitness News, Newsday, and The New York Times. Next year, Arcadia Publishing is releasing Xio's photo book, Weir Farm National Historic Site, about Julian Alden Weir, a leading innovator of American Impressionist painting. His photographs will be joining the many artistic works in the library's collections such as those by Thomas Nast and Arthur Burdett Frost. Nast was the preeminent political cartoonist of his time who lived in Morristown from 1872 to 1902. The library's collection includes his original sketches, drawings, paintings, engravings, and published prints. A. B. Frost was an artist who lived in Convent Station and is probably best known today for his iconic illustration of Br'er Rabbit, which was reproduced in a 2001 postage stamp issued in his honor. The library also has over 10,000 prints and glass plates by photographer Frederick Curtiss.